Diabetes mellitus, a metabolic disorder associated with chronic complications, is traditionally classified into two main subtypes. Type 1 diabetes mellitus (T1DM) results from gradual pancreatic islet β cell autoimmune destruction, extending over months or years. Type 2 diabetes mellitus (T2DM) is a heterogeneous disorder, with both insulin resistance and impairment in insulin secretion contributing to its pathogenesis. Vitamin D is a fat-soluble vitamin with an established role in calcium metabolism. Recently, several studies have provided evidence suggesting a role for it in various non-skeletal metabolic conditions, including both types of diabetes mellitus. 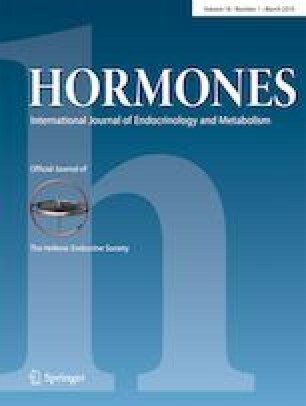 Preclinical studies of vitamin D action on insulin secretion, insulin action, inflammatory processes, and immune regulation, along with evidence of an increase of hypovitaminosis D worldwide, have prompted several epidemiological, observational, and supplementation clinical studies investigating a potential biological interaction between hypovitaminosis D and diabetes. This narrative review aims to summarize current knowledge on the effect of vitamin D on T1DM and T2DM pathogenesis, prevention, and treatment, as well as on micro- and macrovascular complications of the disease. Furthermore, on the basis of current existing evidence, we aim to highlight areas for potential future research. This work was presented at the “1st Mediterranean Expert Meeting on Vitamin D” held in Thessaloniki, Greece, on September 29th, 2017.